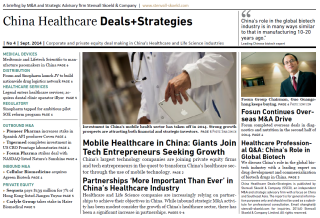 This post was originally published in the June 2014 issue of our healthcare newsletter China Healthcare Deals+Strategies. 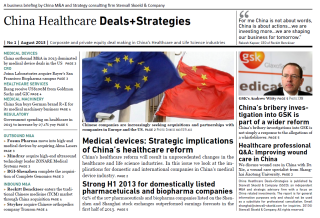 Chinese pharmaceutical companies are increasingly relying on M&A funds to consolidate China’s healthcare industry. The past years have seen a large number of Chinese pharmaceutical companies setting up or participating in venture and growth capital funds. (HK:1099), which partnered with its two main shareholders, China National Pharmaceutical Group Corporation and Fosun Pharmaceuticals (SH: 600196; HK: 02196), to launch a RMB1 billion ($157 million) fund in June 2012. The three partners contributed 15% of the targeted capital, with independent limited partners contributing the remainder. A new Sinopharm subsidiary, Sinopharm Capital, was set up to manage the fund. The trend has continued, with a number of Chinese pharmaceutical companies setting up or participating in different types of M&A funds investing in China’s pharmaceuticals, medical devices, and healthcare services industry. 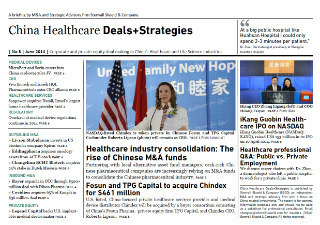 Whereas most funds launched by large pharmaceutical companies in the United States and Europe are venture capital funds focusing on investments in relatively early stage companies with promising technologies or innovative products, the Chinese funds launched in the last couple of years are primarily growth capital funds, investing in relatively more mature growth-stage companies with proven business models. The focus of the Chinese funds is a result of the highly fragmented pharmaceutical industry – an industry the government is actively seeking to consolidate. The opportunity for larger Chinese pharmaceutical companies to consolidate the industry is the main driver of fund formation. Whereas the core corporate investors are all hoping to profit from the consolidation of China’s pharmaceutical industry, their influence on fund strategy and investment decisions varies greatly between funds. Some funds operate as typical growth capital funds. An example is the M&A fund launched by Kunming Pharma (SHA: 600422) and Ping An Securities. With its wide investment scope covering API and finished dosage pharmaceuticals manufacturing, as well as healthcare services providers and distributors, Kunming Pharma only has limited impact on the fund’s strategy. 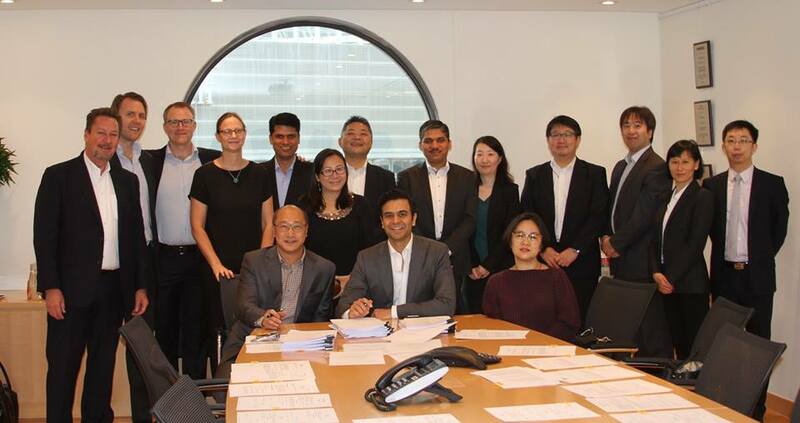 On the other side of the spectrum are funds like that of Aier Eye Hospital Group (SHE: 300015) and China Orient Assets Management, an M&A fund with an investment strategy closely aligned with that of its core investor. The relatively small fund has RMB 200 million in committed capital and is fully dedicated to acquisitions relating to the consolidation of ophthalmic medical services. In addition to influencing fund strategy, the core corporate backers are often represented on the funds’ investment committees, providing them with additional input on which targets to invest in. Putting capital to work: Many listed Chinese companies have high cash balances and face pressure from shareholders and analysts to put capital to work to drive growth. early process of building functioning corporate development teams. By partnering with a more experienced fund manager they can in effect outsource key aspects of the M&A process – from deal sourcing to deal execution and value enhancement. Reduce risk: By pooling its funds with other investors the companies can invest in a larger number of companies. In addition to diversifying risk this has the benefit of not making a company’s entire M&A strategy dependent on one or a few transactions. Co-Investment opportunities: Core investors can negotiate the right to co-invest with the fund, making it possible for them to invest directly in select targets. 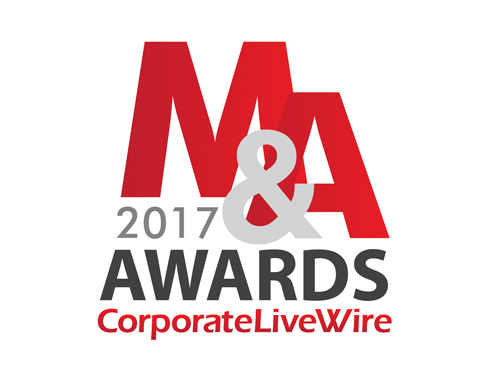 Best position: Core corporate investors can take advantage of their unique insight into portfolio companies to make follow-on investments or acquire additional share capital when the fund decides to exit. Some core investors even have preferential rights putting them in a favored position to acquire portfolio companies at fund exit. Participation by foreign pharmaceutical and medical device companies in the Chinese funds has been limited to venture capital funds. For example, Novartis’s (NYSE: NVS) Venture Funds participated in BVCF’s third China life-sciences fund which was launched in April 2014. purely seen as a source of money. Given that local fund managers often have significant deal sourcing advantages in China, foreign companies could potentially benefit from investing in a China focused private equity fund. This could either involve partnering with an experienced local fund manager to start a new fund or investing with a fund manager that is fundraising. Both options require a comprehensive understanding of the Chinese deal making environment, a rigorous fund manager screening and selection process, and a sound fund and investment strategy. To maximize benefits, foreign limited partners in Chinese funds should play an active role, preferably, if a core investor, as part of the fund’s investment committee. Group (SHE: 300015) is a limited partner in the fund. 19 March 2014: Aier Eye Hospital Group (SHE: 300015), committed RMB 20 million to Shenzhen Qianhai Orient Aier Medical Industry M&A Fund. The general partner of the fund is a subsidiary of China Orient Asset Management Cooperation. China Orient is looking to raise a total of RMB 200 million. 29 March 2014: Aier Eye Hospital Group (SHE: 300015), committed RMB 100 million, 10% of total capital, to Beijing Huaxia Ruilian M&A Fund. The fund will be managed by Huatai United Securities. 15 April 2014: Guangxi Wuzhou Zhongheng Group (SHA: 600252) announced that they will establish an M&A fund together with Beijing Sensegain Investment. Wuzhou Zhongheng and its main shareholder will contribute 49% of the capital to the fund that could raise up to RMB 1 billion. 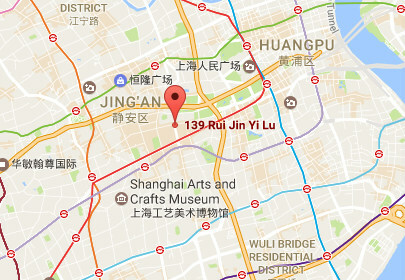 18 April 2014: Wuhan Jianmin Pharmaceutical (SHA:600976) committed RMB 95 million to a pharmaceutical fund managed by Kang Jian Capital. The fund will focus on investments related to Jianmin’s business areas. Jianmin will have “prior acquisition rights” on fund exits. to invest up to RMB 60 million in a RMB 422 million pharmaceutical industry M&A fund. The fund will invest in companies related to Lummy’s core business. The fund will be managed by Chongqing Tianyi Weiye Pharmaceutical Investment Company. 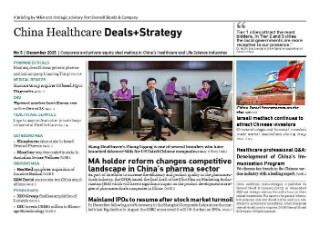 29 April 2014: Kunming Pharmaceutical partnered with Ping An Securities to set up a healthcare M&A fund. 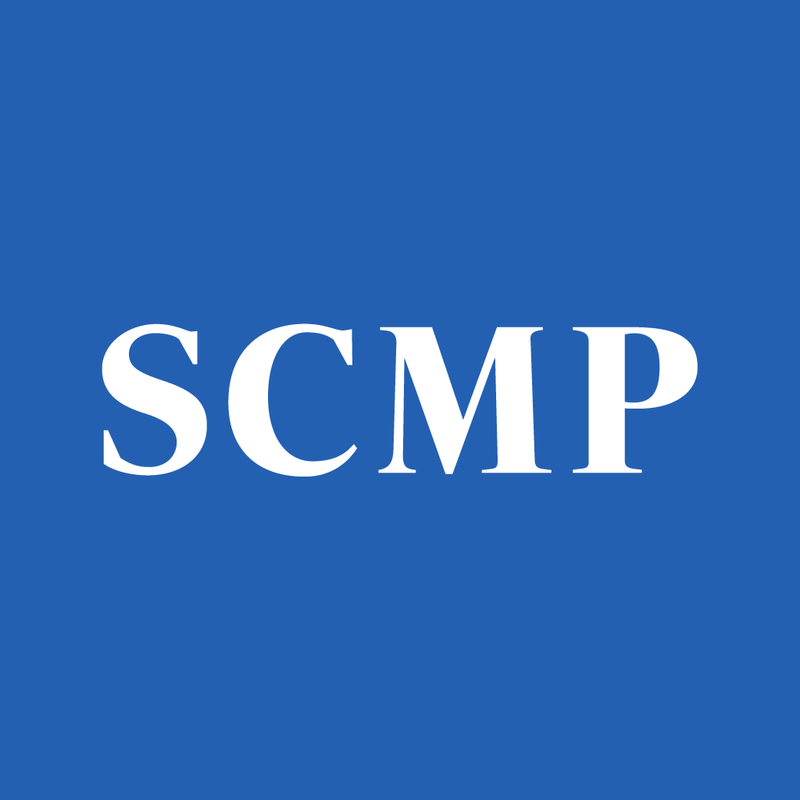 Kunming Pharma committed RMB 100 million to the fund, or 20% of the targeted capital. The fund that will be managed by Ping An’s Caizhi private equity platform.